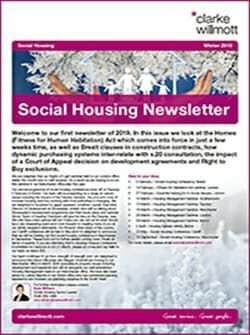 In this issue we look at the Homes (Fitness for Human Habitation) Act which comes into force in just a few weeks time, as well as Brexit clauses in construction contracts, how dynamic purchasing systems inter-relate with s.20 consultation, the impact of a Court of Appeal decision on development agreements and Right to Buy exclusions. We are delighted that our Rights of Light seminar held in our London office earlier this month was so well received. As a result we are hoping to re-run this seminar in our Manchester office later this year. Our annual programme of social housing conferences kicks off on Tuesday 5 February in Bristol. Our team will be presenting on a range of current issues including the impact of the Faraday decision, the pros and cons of modular housing and how working with local authorities is changing. We are delighted to be joined by guest speakers Jonathan Layzell, Executive Director of Development at Stonewater Limited who will be talking about Stonewater’s development programme and their future plans and barrister Simon Taylor of Keating Chambers will give his take on the Faraday case. We only have a few spaces left but I hope you can join us for what should be a very interesting event and I look forward to meeting many of you at our drinks reception afterwards. For those in other areas of the country, our Cardiff conference will be held in May and I’m delighted to announce that we will be holding our first social housing conference in Manchester, in September. Please look out for further details coming soon. Finally (in terms of events), if you are attending NHF’s Housing Finance Conference & Exhibition in Liverpool on 20-21 March, please do come and say hello to our team on stand 402. Our team continues to go from strength of strength and I am delighted to announce that Aaron Macauley and Megan Churchill are moving to our Manchester office in March. Both specialise in property issues including development and leasehold and will sit alongside our well established Housing Management team in our Manchester office. We have also been joined by Leticia Mandra in our Bristol office who has substantial planning experience and bolsters our planning presence in the South West. 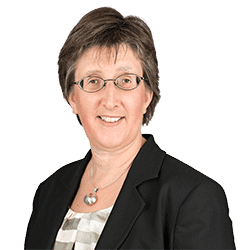 Homes (Fitness for Human Habitation) Act 2018: A change to the disrepair landscape? The Homes (Fitness for Human Habitation) Act 2018 (“the Act”) comes into force on 20 March 2019 and applies to all private and social housing residential tenancies in England entered into after this date. Tenancies in Wales are already subject to similar provisions contained in the Renting Homes (Wales) Act 2016. It is important for RPs to be aware of the exclusions in respect of Right to Buy. Whilst the Housing Act 1985 (‘the Act’) gives most qualifying tenants in public sector housing the right to buy the freehold interest in their home, there are exclusions which prevent tenants of certain types of housing from exercising their right to buy. The exclusions are set out in Schedule 5 of the Act and include certain dwelling houses for the disabled and for elderly persons. After the judgment in R (Faraday Development Limited) v West Berkshire Council & Another  EWHC 2166 (Admin) was handed down in 2016, many legal commentators were quick to assert that the judgment of Mr Justice Holgate in the Planning Court set out detailed guidance on how a land development agreement with a public body could be structured so that the resulting contract did not fall within public procurement legislation. Clarity at last. Dynamic Purchasing Systems: One less stress or consultation mess? A Dynamic Purchasing System (DPS) is an electronic system used primarily by public bodies to purchase commonly used goods, works or services. 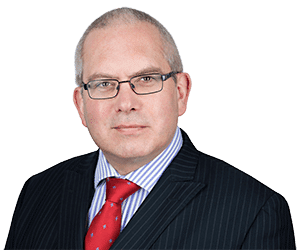 Danny Dedman is an Associate Solicitor in Clarke Willmott solicitors’ London, Housing Management team. 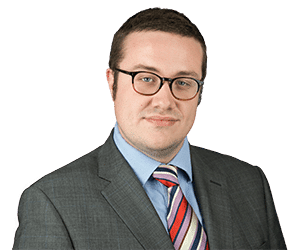 Nathan Greaves is an Associate in Clarke Willmott solicitors' Bristol Property Litigation team specialising in rights of way, public/private nuisance. Hayley Holland is the social housing conveyancing manager in Clarke Willmott's Taunton social housing conveyancing team.